Rustenburg/ Mooinooi –Grace Help Centre, which provides for the needs of abused women and children, received a gesture of goodwill from Hirsch Strubens Valley whose initiative has brought joy and comfort to the care centre. Hirsch’s initiated the drive whereby the students of Trinity House Preparatory School in Little Falls, could enter a competition to see which class could collect the cuddliest toys. Besides a collection of 169 toys, Hirsch and a team from Cloud Nine and Rest Assured (CNRA), also donated mattresses. 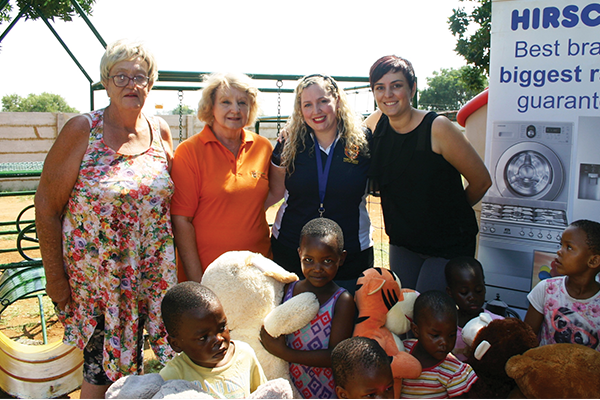 Hirsch’s Strubens Valley Dorette Nel, public relations officer, described the mood of the children when receiving the toys as one of extreme excitement and a wonderful surprise. Rina van den Berg of Grace Help Centre expressed her heartfelt thanks to both companies as well as the school for this very generous gesture and added that any donation big or small, is always welcome and appreciated. “What a wonderful surprise to our children, they are truly blessed!” she said. From left: Helen Kalpis and Rina vd Berg (Grace Help Centre), Adrienne Hadebe and Kassandra Strydom (Trinity House). 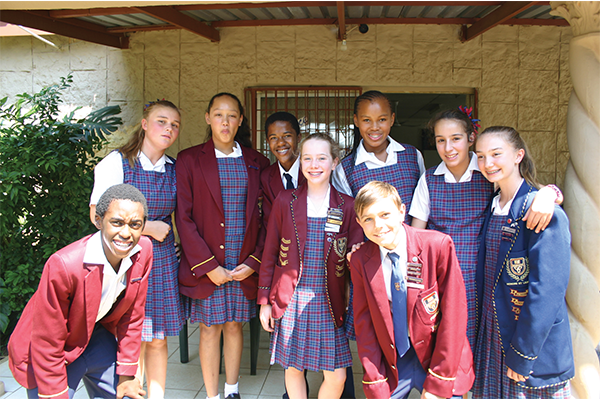 Prefects from Trinity House Little Falls during their visit to Grace Help Centre.